As a long-term investor in growing businesses, Motion Equity Partners has always been particularly sensitive to any factors that might affect, positively or negatively, the performance of its investments. To this end, we are convinced that an efficient management of Environmental, Social and Governance issues at every stage of our investment process will improve the performance of our portfolio companies, improve their risk profile as well as generate new growth opportunities, and in the end create sustainable value for all stakeholders. 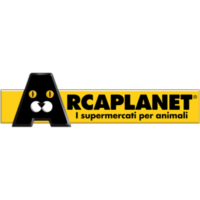 Chain of stores specialized in pet products. Under Motion Equity Partners’ guidance, the Management team has put a clear emphasis on social and environmental issues, in particular on the sustainable sourcing of products and on energy optimisation within its network of stores. In 2015, Arcaplanet has formalized this commitment with the definition of a code of ethics and the issue of its first ESG report. 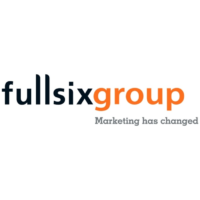 Human capital is by far Fullsix’s most important asset. In order to attract and retain the most talented professionals, the Group has developed exemplary practices in terms of working conditions, equal opportunity, commitments to charitable associations and organizations through “pro bono” work. As Fullsix has been emerging as a market leader in data management and analysis, data privacy has also become a key issue to be dealt with. The Group has to cope with complex country-specific data privacy management regulatory frameworks, and must be able, when necessary, to help its customers comply with these nascent regulations. World leader in the production and distribution of gas pumps and related services. 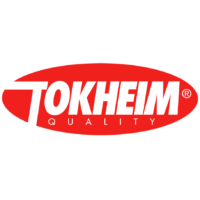 Tokheim has multiple ESG challenges, mainly Health & Safety, the fuel consumption of its vehicle fleet as well as end of life products and subcontractor management. Tokheim’s ESG strategy is based on two pillars: an ambitious Health, Safety, Security and Environment (HSSE) policy, which aims to reach “zero fatal accidents, zero serious injuries, zero environmental issues”, and an Ethical Code of Conduct, which was updated in December 2014 and signed by all COMEX members. 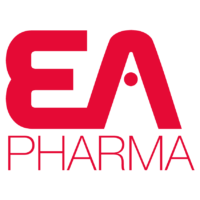 European player in the molded cellulose packaging industry. CDL-OmniPac’s operational excellence objectives go hand-in-hand with energy efficiency and raw material consumption targets. The objectives are formalised in a three-year performance plan, including commitments towards defined percentages of reduction in energy and raw material consumption and frequency of the review of performance KPIs. CDL-OmniPac has also been strongly committed to improving health and safety within the company. Efforts are focused on improving safety conditions in its plants as well as ensuring compliance with regulation and insurance standards. Under Motion Equity Partners’ guidance, CDL Omni-Pac has also developed a new line of fruit and vegetable packaging products which are 100% recyclable, in order to offer an alternative to plastic-based products. European leader in home cleaning products and insecticides. Corporate responsibility has always been core to Altaïr’s values, especially when it comes to sustainable development. As a producer of chemical and biocide products, key issues involve employee safety, minimisation of the impact of its products on the environment, compliance with all regulations in place and anticipation of their evolution. Under Motion Equity Partners’ guidance, Altaïr has formalized its commitment to ESG through a charter, renewed its procurement practices and more recently launched a new “green” product line with limited impact on the environment. French pharmaceutical lab specialized in food supplements, oligotherapy and sports nutrition. The Group’s mission is to enhance the quality of life of individuals through innovative, efficient and natural solutions. Equilibre Attitude has made the strong commitment to totally remove titanium dioxide from its products. Today, its development efforts are solely focused on natural products. Equilibre Attitude has implemented many initiatives aiming to build a strong CSR profile. In particular, the Group pays great attention to the well-being of its employees, their professional development and to the reduction of its impact on the environment. Global leader in the design and assembly of solutions for paper packaging manufacturing. 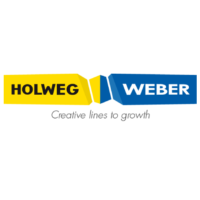 Holweg Weber is a provider of solutions which greatly benefit the environment by contributing to the shift from plastic to paper bags following global environmental awareness. In addition, corporate responsibility has always been core to Holweg Weber’s values. Main ESG challenges for the sector include health & safety (especially at assembly sites), quality of products and services, risk management and ethics, and attracting and retaining employees. European leader in the design, manufacturing and distribution of dental prosthetics. Since its acquisition by funds advised by Motion Equity Partners, Minlay has implemented several initiatives to improve the overall ESG performance of the Group, such as the improvement of HR indicators monitoring in order to decrease employee turnover, compliance with General Data Protection Regulations (GDPR), the integration of ESG criteria at suppliers’ level or more recently the obtention of the “Laboratoire Eco-responsable” label. Motion Equity Partners is a signatory of the United Nation’s Principles for Responsible Investment, and of the Charter of Commitments for Investors in Growth of the French Private Equity Association (France Invest, ex-AFIC). We have also reaffirmed our commitment to fight against climate change with our decision to sign the Initiative Climate (IC20).